Melissa Joan Hart Might Explain It All Again in Clarissa RebootClarissa creator Mitchell Kriegman is also in talks to write and executive produce the series. Melissa Joan Hart on Smelly Soap and GuacamoleThe actress on how she stays well with three young kids. Melissa Joan Hart Explains the ’90s With an Amazing #TBTThe ‘90s really were the vest industry’s heyday. 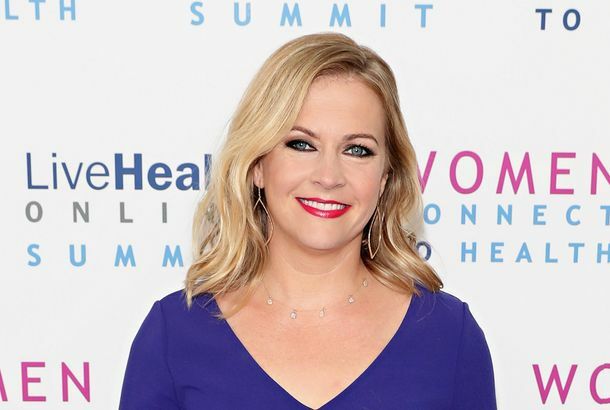 Melissa Joan Hart Sued by Punny Former ManagerFor non-payment. Last Night on Late Night: An Annoyed Letterman Makes Shia LaBeouf Eat His WordsPlus: Louis C.K. stole tampons as a child, and more, on our daily late-night roundup. Zachary Quinto to Do His Best GershwinPlus: Melissa Joan Hart and Joey Lawrence together at last! Kathy Griffin Has Not Learned Her Lesson About Child-Star JokesPlus, dish on Lindsay Lohan, Hillary Clinton and the ‘Gossip’ girls in our daily roundup.